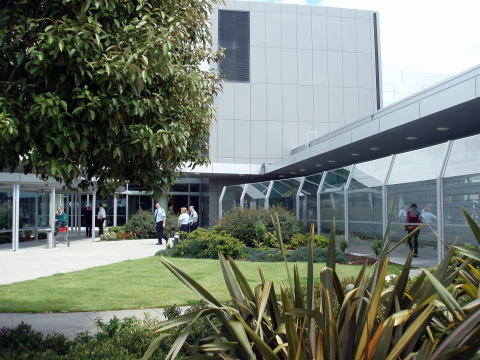 Christchurch International Airport is the main airport that serves Christchurch, New Zealand. It is located 12 kilometers to the northwest of the city center. 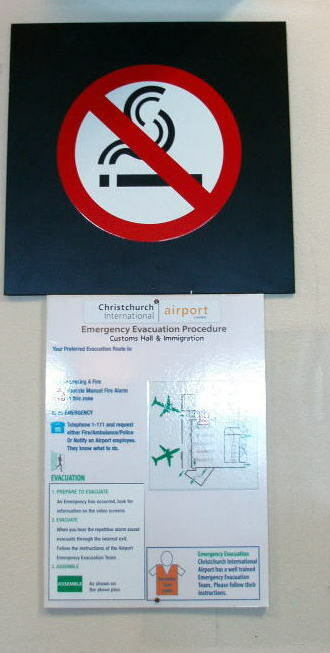 (L) A very well recognized no smoking sign in the hall of Christchurch International Airport. 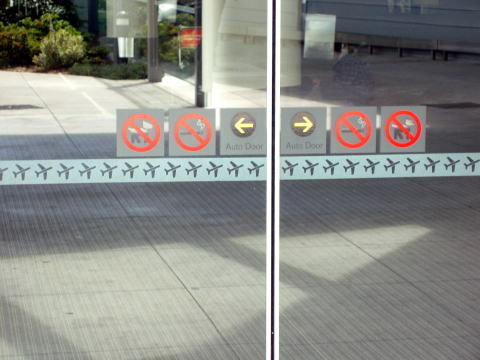 (R) The entrance/exit of the airport, with no smoking sign on the door glass. (L) A few airport staff members ware smoking in feeling awkward at a courtyard of the airport building. 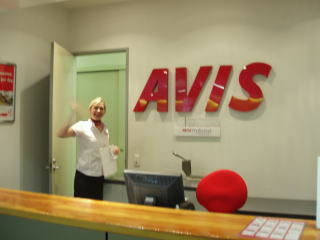 (R) An airport office worker of Avis saw us off by a smiling gesture.